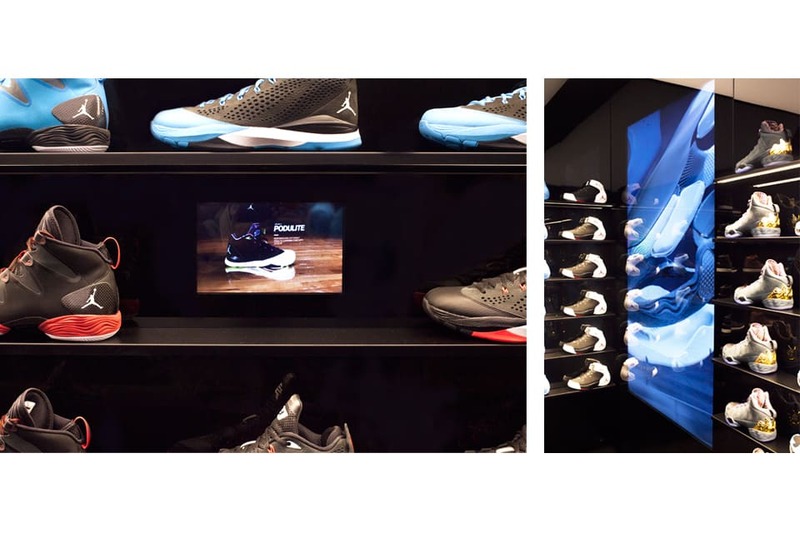 Get up close and personal with the first store dedicated to Air Jordans. 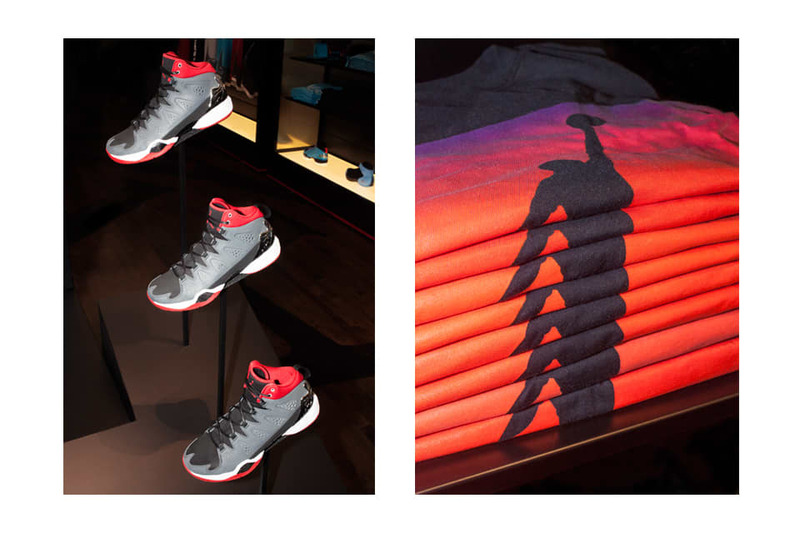 At thirty years old, Air Jordan sneakers have amazingly never had a dedicated brick and mortar shop to call their own. The demand has always been so high there might never have been a need. 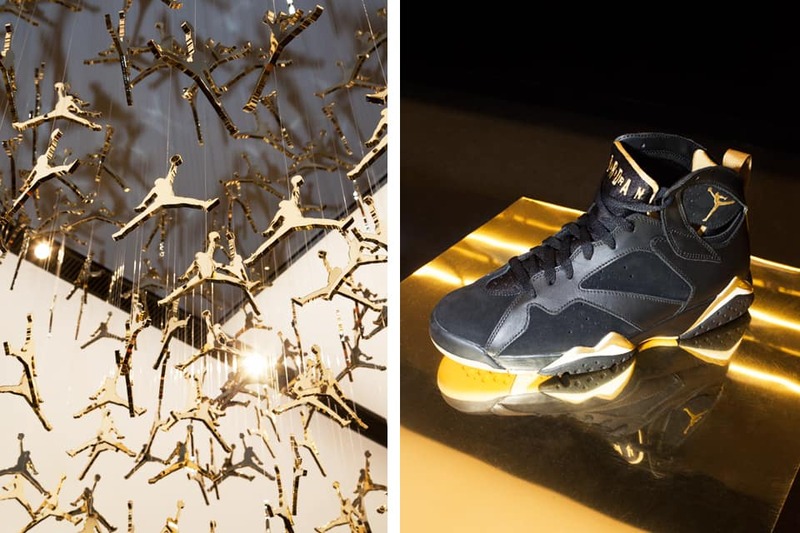 But this weekend, the iconic kicks received their just due, with a store in New York that's as regal as Michael Jordan's slam dunk. 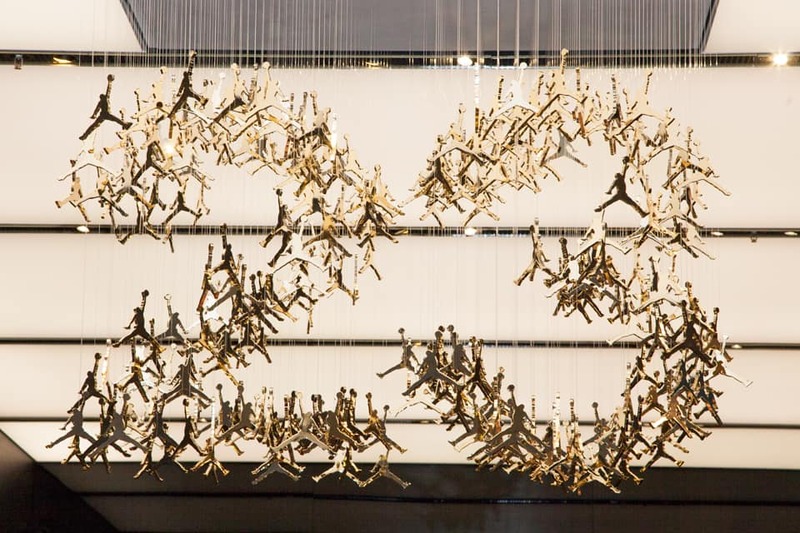 The brainchild of Jordan Brand and Footaction, Flight 23, is a sleek annex of Footaction's 34th Street flagship store that features hardwood floors, lacquered black walls, 340 little jumpman figurines dangling from the ceiling and a constantly re-stocked supply of Jordan Brand apparel and footwear, in addition to the weekly frenzy-inducing drops of Retro Air Jordans. We trekked up to the midtown to survey the scene, where, despite the wintry temperatures, scores of shoppers camped-out overnight to be among the first to shop the landmark store. Minutes before the official unveiling, Power 105's DJ Envy spun club-ready jams and, fittingly, played Mike WiLL Made It's ode to Jordan sneakers, "23", back to back. 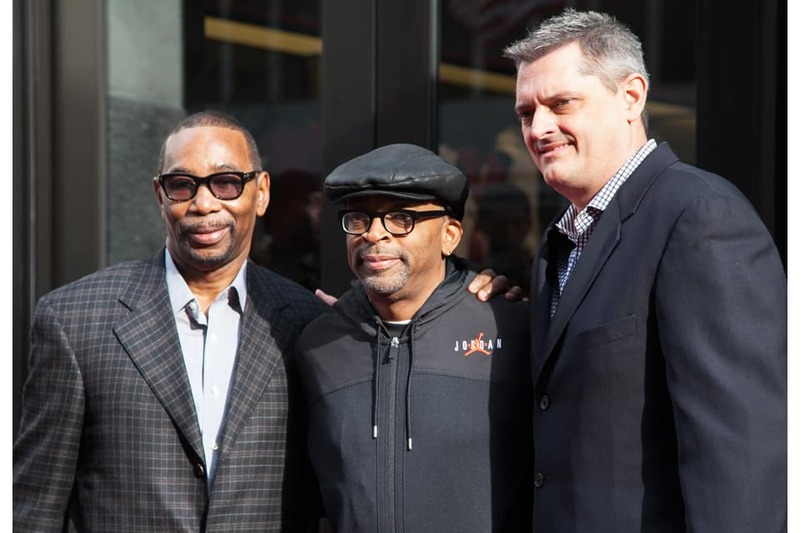 Spike Lee, a longtime Jordan fanatic since his "Mars Blackmon" days, was on hand for the official ribbon cutting with Jordan Brand President Larry Miller. In an tightly orchestrated manner, security and store personnel opened the doors and gave the shoppers that patiently waited precedence over bloggers and camera crews. 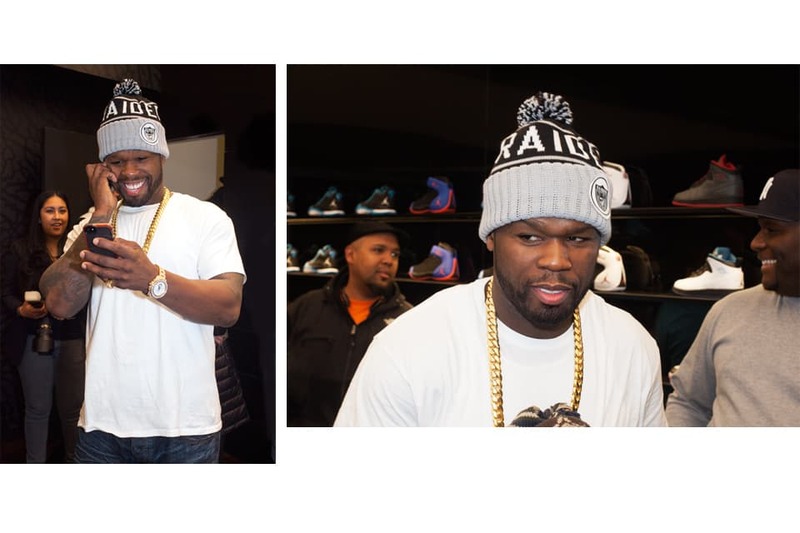 50 Cent turned up and the store's crowd became a flurry of camera flashes and not-so-sublte iPhone pics. Flight 23 employees, slightly starstruck by 50's appearance, off handedly mentioned that Carmelo had stopped by the night before and that Drake made an early morning stop before the official opening but sadly, as of yet, there was no red carpet appearance from the man himself, Michael Jordan. 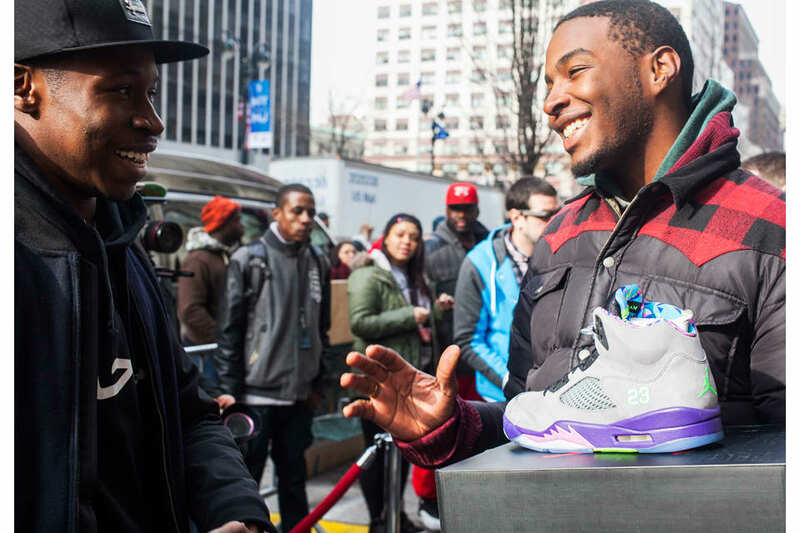 Take an up-close look at the new Flight 23, and bone up on your history by checking out our 10 favorite Jordan styles in history.